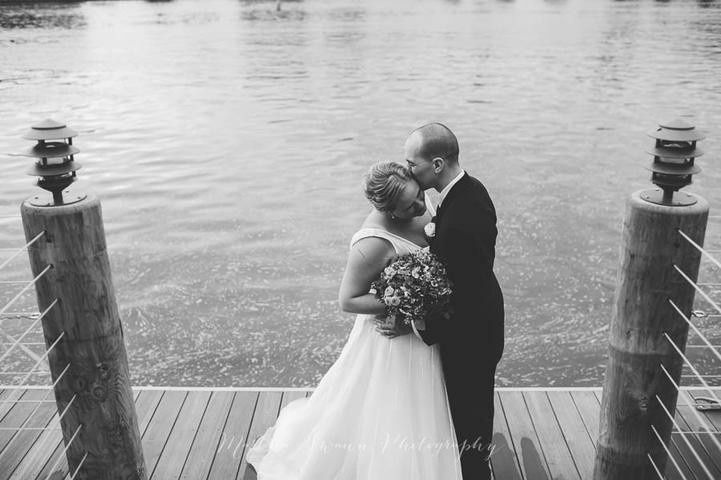 Alexandria’s is a picturesque wedding venue located in Oswego, New York. The venue overlooks Oswego Harbor and parts of historical downtown Oswego. 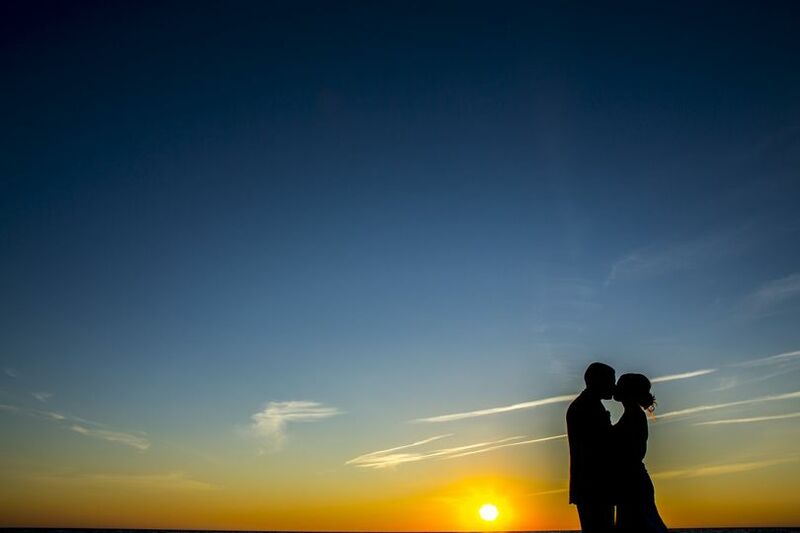 Couples have endless options on the land for stunning photo backdrops, and receptions are held in the beautiful and elegant ballroom. The on-site lodging for you and your loved ones makes the choice to host at Alexandria’s even easier, as everyone will be comfortable and accommodated. 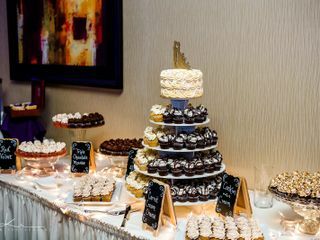 The on-site catering will allow for you and your guests to share a delicious meal while they celebrate you, without the need to hire an outside company The experienced staff at Alexandria’s will guide you through every step of the wedding planning process, and help you to make every decision. 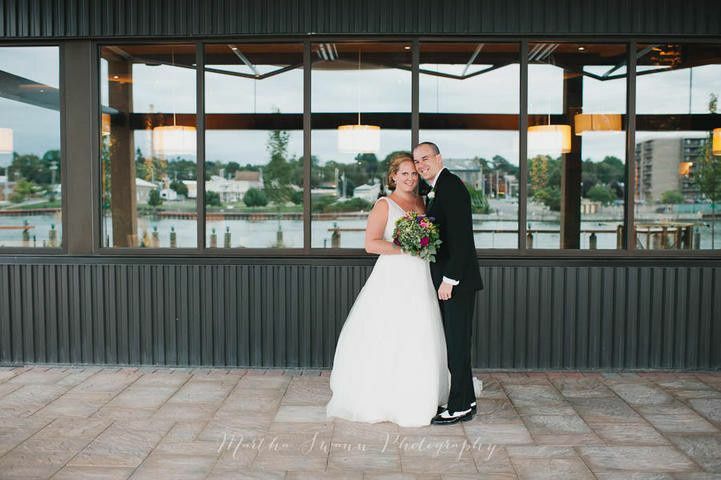 Alexandria’s weddings are held in the Lake Ontario Event and Conference Center. 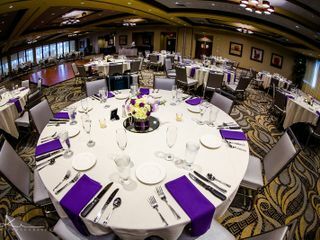 The location provides breathtaking views of central New York, and can accommodate up to 400 guests at your wedding. Alexandria’s provides parking and a shuttle service, and is wheelchair accessible. 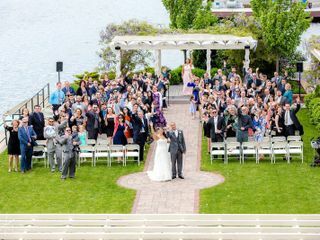 Couples can choose to hold their ceremony outside overlooking the water and the manicured lawn, or inside in the magnificent ballroom. Alexandria’s is perfect for every wedding event, including showers, engagement parties, rehearsal dinners, and the wedding itself. There is a bridal suite on-site where the wedding party can prepare for their big day. 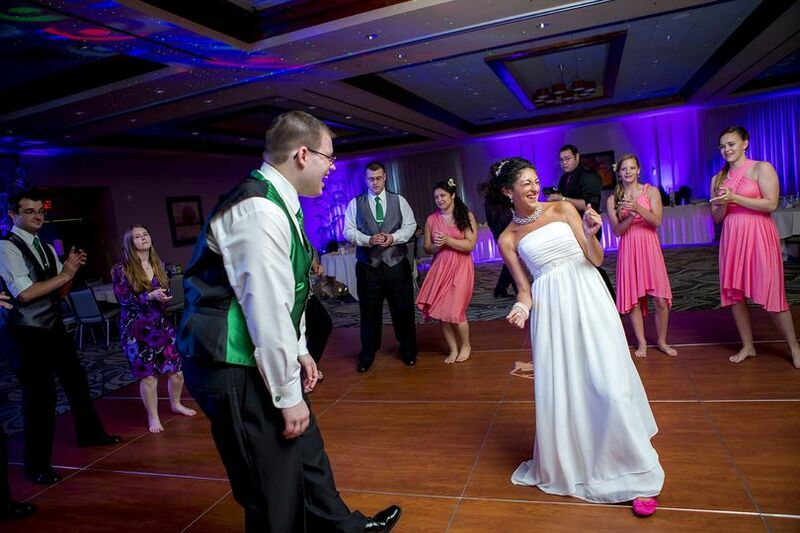 Alexandria’s wants to make every piece of planning your wedding stress-free and fun. Their event coordinators are happy to help you with every detail. 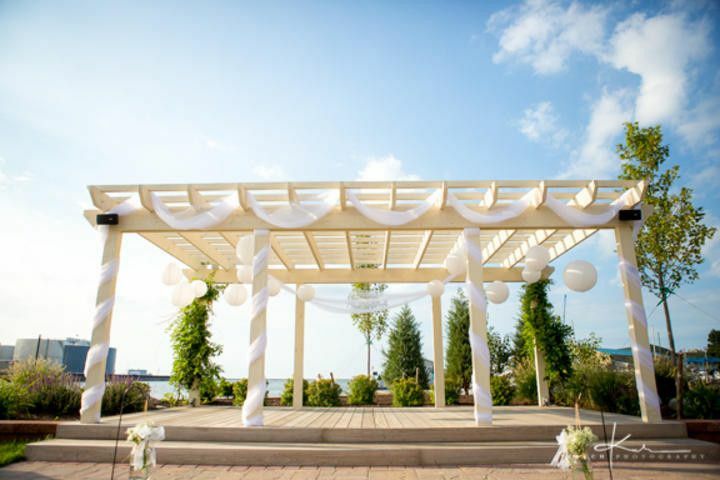 In addition to the stunning venue and views, they offer a variety of services to make your day just as you imagined, including set up and clean up. In-house catering and bar services are available, and outside vendors of your choice are welcome to supplement your occasion with flowers, music, and more. 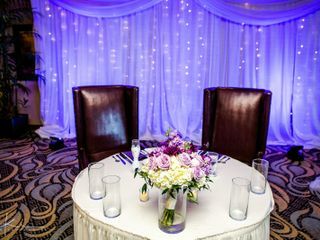 The venue has lighting and sound equipment, as well as wireless internet throughout, for your convenience. The catering team at Alexandria's can serve your meal in a variety of styles, including buffet, family-style, plated, or stations. Hors d'oeuvres can be enjoyed at a cocktail reception, while professional servers take care of your every need. They can make a delicious dessert, or you are welcome to bring a cake from your favorite bakery. Tastings are available to determine your final menu. Alexandria's expert bartenders can serve at an open or cash bar, with house and premium beer, wine and liquor options. You can also enjoy a champagne toast and a signature drink designed just for you. The venue has all the barware, china, flatware, glassware, and linens you'll need, plus a chocolate fountain. 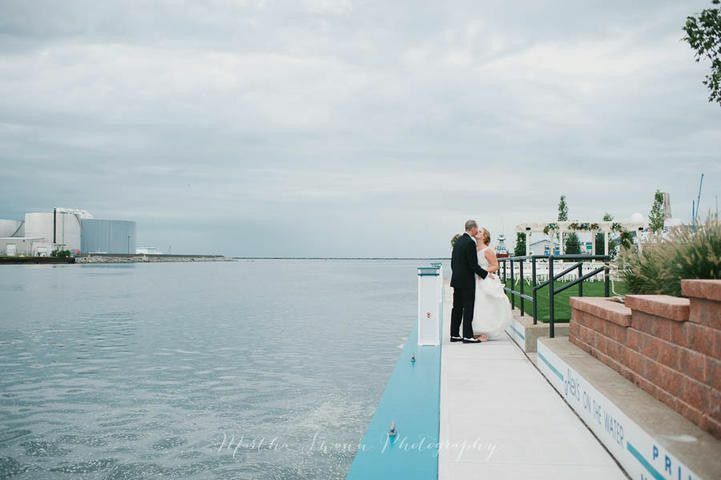 Alexandria’s is really the best reception venue we could have asked for! The banquet room was HUGE and had a bar that could be open to the room or closed off with a good-sized balcony. Since I do not live locally, I was worried about planning the wedding from across the country. 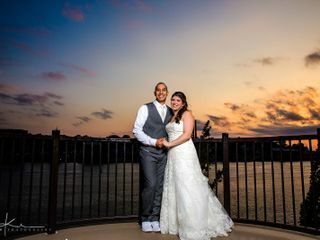 George, one of the owners, was so awesome during the entire planning process and during the reception, he truly made it all as stress-free as a wedding can be! The reception hall was so beautifully put together. All of the wait staff and the bartenders on shift were also amazing, one of the bartenders Brooke, came up to us and introduced herself and made sure to let us know to come to her if we needed any special drink orders. Everyone at Alexandria’s really went out of their way to make our day special. The hotel was extremely accommodating to all of the guests. My fiancé (now husband!) 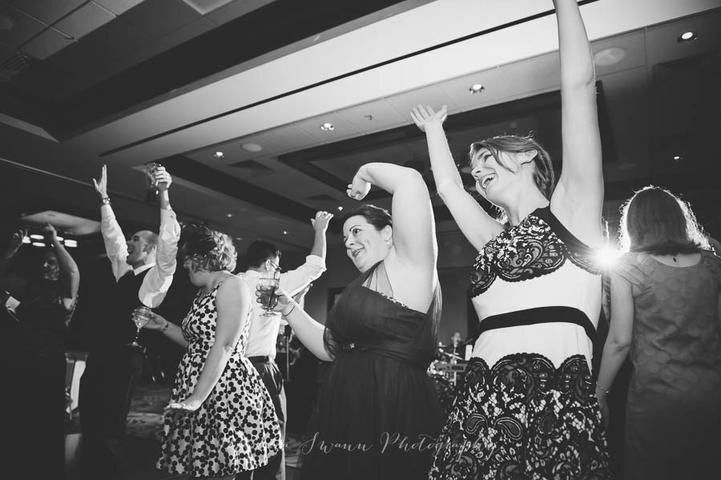 and I had an awesome room that was big enough to accommodate all six bridesmaids, a makeup artist, photographers, my parents and myself while we got ready! 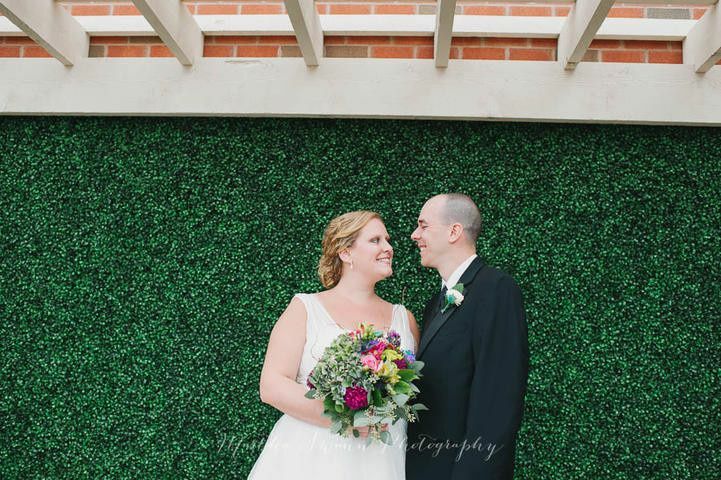 I could go on and on about how happy my husband and I are that we chose Alexandria’s… So, check out Alexandria’s! They are easy to work with, accommodating, affordable, and the venue is just beautiful. If you're considering wedding venues in the Central New York area, Alexandria's is incredible. We first visited Alexandria's on a whim. Within minutes, we turned to each other and knew this was the place. Competitor venues did not have the same size, upscale and modern facilities, nearby hotel accommodations, and competitive pricing. Alexandria's is physically attached to a well-maintained Best Western. Guests complimented the surrounding area and appreciated being able to literally wake up at the venue. The location of Alexandria's made travel for pictures rather convenient. The ceremony itself, held on site, was absolutely beautiful. Once our ceremony finished, guests were able to walk into the building and enjoy cocktail hour. 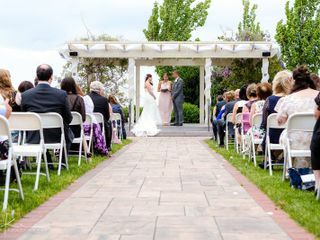 Not needing to transport guests between the ceremony site and the reception was a huge logistical, time-management, and financial advantage. The cocktail hour room has a huge, modern bar in it along with balcony access. The main room for the party looked amazing. Amenities were clean, bar service was great, and food was fantastic. Between our first tour of Alexandria's to the big day itself, everyone we interacted and spoke with came across as personable, professional, and accommodating to requests. 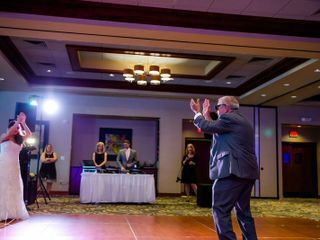 George maintained an incredibly humble and helpful demeanor throughout all phases of coordinating the event. He was wonderful to work with and so accommodating! Behind-the-scenes support for the bride and groom during the big day was phenomenal. We cannot thank him and his staff for creating one of the best days of our lives. Guests continue to compliment us about our the great time they had. 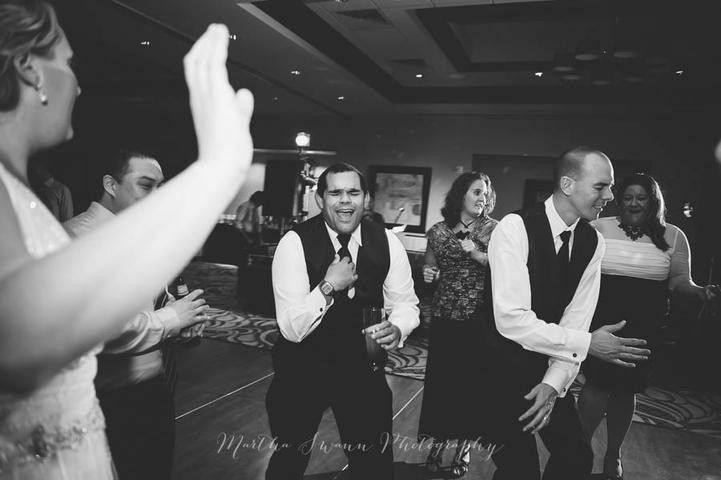 We highly encourage people in search of a wedding or event venue to book with Alexandria's!! The Broadwell Family is the definition of professionalism. George and Brooke are the most fun, helpful and dedicated staff that I have ever worked with. Jen at the Best Western made sure our guests and us had everything we needed. Alex's was BEAUTIFUL. Our ceremony took place on 6/25/16 in sunny, cloudless 85 degrees---if that isn't the icing on the cake, i don't know what is! Brooke and Alissa knew exactly how we wanted the space set up for the reception-it's like they were in my head. 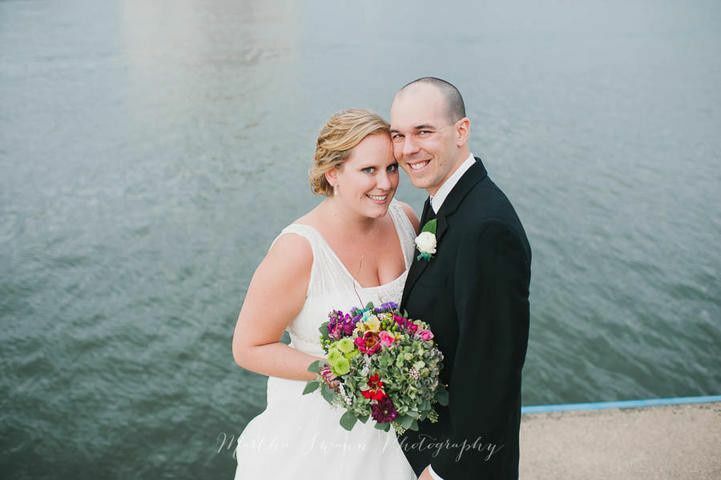 After meeting my husband while attending SUNY Oswego, we knew we had to get married there. The food, service, style, waitresses, bartenders, housekeepers--everyone was impeccable! I don't know anywhere else we would have had a note from housekeeping wishing us luck on our wedding day, it was such a heartfelt note, I kept it. I cannot thank George enough-he planned with us, made sure we had everything we needed and made our day so special. Looking at Brooke on my wedding day made me realize I had nothing to worry about, the day was perfect! Thank you so much for our fabulous wedding!